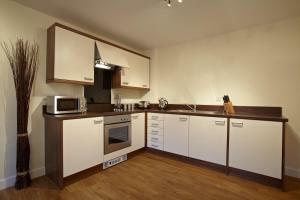 Great location and good size 2 bed apartment. Good bathroom and kitchen too. Really convenient as we booked it for the weekend we were doing the Bournemouth Bay Run. Great accomodation, smoth transatcion, everything perfect. the property was clean well equipped spacious with good storage. It was in a good location for the town. The location is fantastic, right close to the city centre and with easy access to most food places and cafes. Apartment is spacious and more importantly the the toilet is large. Sky TV was bonus. La ubicación es excelente. El servicio de limpieza y mantenimiento es muy eficiente y servicial. El apartamento tiene todo lo necesario. Ubicación excelente y apartamentos muy amplios y cómodos. Había de todo, aunque no se especificaba en la descripción : secador de pelo, lavadora/ secadora, tostadora, sartenes y ollas, vitocerámica y horno...Vistas espectaculares. La mujer de la limpieza muy amable. 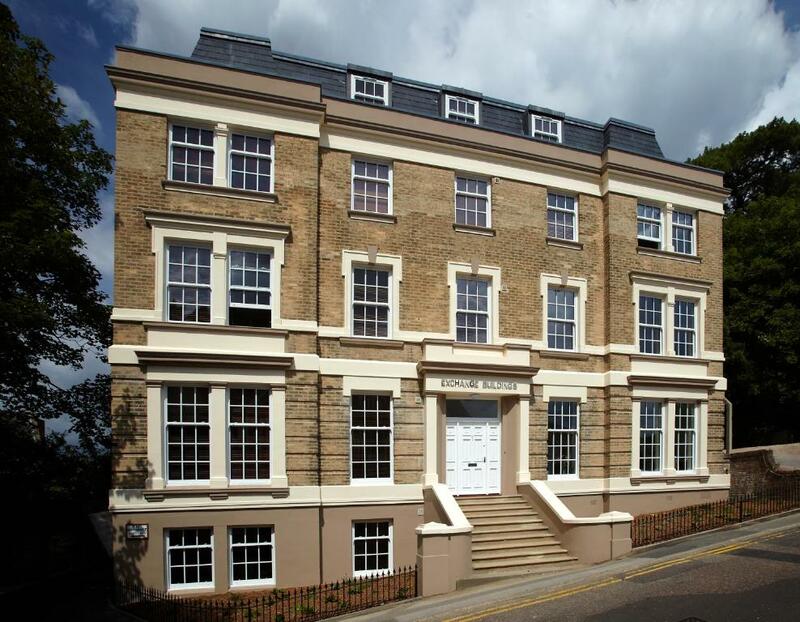 Lock in a great price for Exchange Building Apartments by esa – rated 8.1 by recent guests! 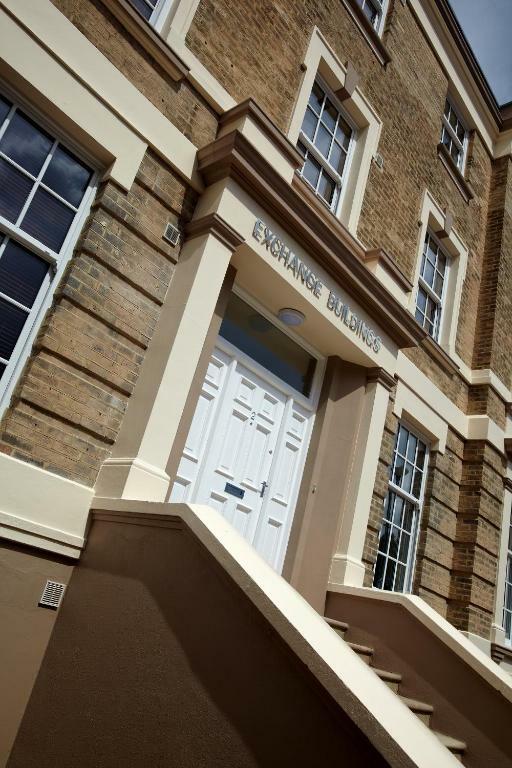 Exchange Building is located in a quiet side street within the center off Bournemouth and 5 minutes’ walk from its beaches. This period property is home to beautiful, stylish apartments with a shared garden and secure bike storage. Each spacious apartment at Exchange Building offers smart design with wooden floors and brown and cream-colored tones. The spacious lounge has Sky TV and a sofa, while kitchen facilities include a kettle, fridge, microwave, oven, hob, toaster, washing machine and a dishwasher. Free WiFi is available. Shops, bars and cafés can be found around Bournemouth’s center and by the seafront. Bournemouth Railway Station is a 15-minute walk from the apartments. 뀐 Located in the real heart of Bournemouth, this property has an excellent location score of 9.2! When would you like to stay at Exchange Building Apartments by esa? This spacious apartment offers smart design with wooden floors and brown and cream-colored tones. The comfortable lounge has Sky TV and a sofa, while kitchen facilities include a kettle, fridge, microwave, oven, hob, toaster, washing machine and a dishwasher. Free WiFi is available. This apartment has 2 double bedrooms. House Rules Exchange Building Apartments by esa takes special requests – add in the next step! Exchange Building Apartments by esa accepts these cards and reserves the right to temporarily hold an amount prior to arrival. Please inform Exchange Building Apartments by esa of your expected arrival time in advance. You can use the Special Requests box when booking, or contact the property directly using the contact details in your confirmation. Please note that the full amount of the reservation is due before arrival. ESA will send a confirmation with detailed payment information. After full payment is taken, the property's details, including the address and where to pick up the keys, will be sent to you by email. We had to pay for 2 apartments instead of our original 2 room apartment booking because they decided to extend the stay of a previous resident instead of honouring our booking, which eventually cost us more. Wi-Fi didn't work and no one came to fix it as promised. No heating cold at night.. 3/4 bed small.... limited hot water/shower... can hear ever thing from up stairs and out side your door/ people smoking. car park not that near £5.00 aday.. Living room furniture uncomfortable and could do with a little more than a single sofa as it was a 2 bed apartment. Bearing in mind it was quite expensive - it felt like a hostel property & basic. It was very dark with little natural light. The wooden floor throughout felt grubby underfoot. The bathroom floor was dreadful. The floor had collapsed around the toilet & had several broken tiles. This was a health & trip hazard.. The toilet seems very run down, floor tiles were broken at some places. The sofa in the living room wasn't clean and the apartment has a smell...not a nice one.